You’ve made the decision to buy a house, but will a mortgage lender make the decision to provide you with a loan? Many factors go into that equation, including the credit score needed to buy a home. A mortgage lender will, of course, look at your overall income, debt and savings when making a decision whether or not to provide a loan for your home purchase. The biggest factor, however, is your credit score. So what is the credit score needed to buy a home? That can depend on the type of mortgage you are applying for, such as a 15-year mortgage, 30-year mortgage, adjustable rate, fixed rate or FHA. On average, you’ll likely need a credit score of at least 600 to secure a mortgage loan. You are considered to have an excellent credit rating if your credit score is 750 or above. The maximum credit score is 850. Good credit is in the 700 to 749 range. Fair credit is in the 650 to 699 range. Poor credit is in the 550 to 649 range. Bad credit is 550 and below. So what is your credit score? Do you have the credit score needed to buy a home? If you’re unsure, contact a mortgage lender or The Olear Team today. If your score is too low to obtain a mortgage, we’ll give you some tips to bring it up to an acceptable level. You’ve found the home of your dreams, you have some money saved up for a downpayment and your employment history has been steady. So far, so good. But how is your credit history? Have you ever thought about the credit score needed to buy a home? We certainly hope you have! Obtaining a mortgage loan to pay for your home purchase can be a complicated process. Having a poor credit score can make it far more difficult. There are several scenarios that can put you, as a borrower, into a high-risk bracket. Here are some points that can impact your creditworthiness. Your credit score is below 620. That can be a real red flag when applying for a mortgage. Lenders use your credit score to determine your ability to make future payments. 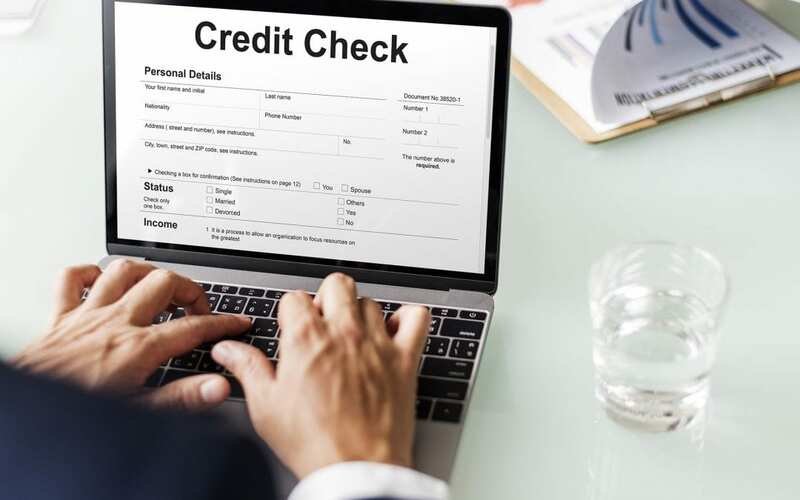 According to the real estate industry online publication Keeping Current Matters, the average FICO Score on all closed loans recently dropped to 722. The average includes both refinance and purchase loans. FHA and VA loans offer the greatest opportunity for individuals looking to enter the housing market with low down payments and even lower FICO Score requirements. Ellie Mae’s Millennial Tracker reveals that those who purchased homes in December 2017 with an FHA Loan were able to do so with an average downpayment of 4 percent and a FICO Score of 684. Overall, it’s getting a little easier to receive loan approval with a credit score that’s not quite up to par. If you’re currently debating a home purchase and worried about the credit score needed to buy a home, please contact The Olear Team today! Do I need a realtor to buy a house? It’s a pretty straightforward question: Do I need a Realtor to buy a house? While the answer is no, you don’t, there are plenty of reasons why you should! A Realtor will guide you through and help you understand what can be a complicated process. An experienced Realtor is a valuable asset and can clearly explain the home-buying process. An experienced Realtor can also point out both features and flaws within a home that you might not have otherwise noticed. Realtors are known for their negotiating skills can can likely negotiate a better deal for you. Realtors are typically well connected. If you need a contractor, home inspector, plumber, painter, etc., they can very likely point you in the right direction. Most Realtors are strongly tied to the community and know the history of the neighborhoods — good and bad. We recently came across this statement in a real estate industry article: “Famous sayings become famous because they are true. You get what you pay for. Just like a good accountant or a good attorney, a good agent will save you money … not cost you money.” We couldn’t agree more. The road to owning real estate is like a well-traveled street after a bad winter — filled with potholes! So do you need a Realtor to buy a house? We highly recommend hiring a Realtor to guide you safely down that road. Please contact The Olear Team if we can be of assistance. Did you know that there are several home buying programs designed to offer financial assistance to first-time homebuyers? Let’s look at a few of them, and what makes them different. EEM (Energy-efficient mortgage) loans, insured through the FHA or VA program, allow the homebuyer to create an energy efficient home (new windows, insulation, heating system, etc.) without the need of a larger downpayment. Fannie Mae and Freddie Mac are government agencies that work with low- and moderate-income families and offer competitive interest rates and a low downpayment option. An FHA (Federal Housing Administration) loan helps protect the lender if the borrower defaults on the mortgage. FHA loans have competitive interest rates and typically require a smaller downpayment and lower closing costs. An FHA Section 203(k) loan, backed by the FHA, allows those purchasing a fixer-upper to include home improvement funding in their mortgage. Another feature is a low downpayment requirement. The Good Neighbor Next Door program, sponsored by HUD, offers benefits for law enforcement officers, firefighters, EMTS and teachers purchasing in designated “revitalization areas.” HUD also offers a a first-time homebuyer program and a Dollar Home Program featuring foreclosed FHA homes. 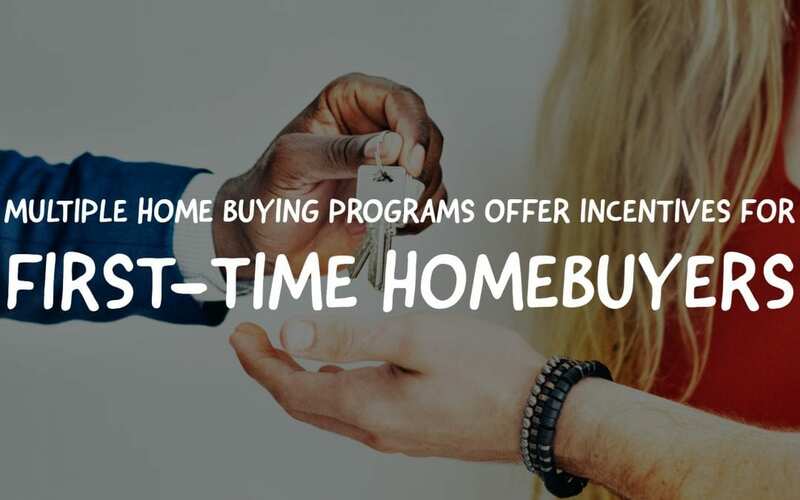 A HomeReady HomePath Mortgage requires first-time buyers to complete an educational course in exchange for benefits such as a low downpayment requirement. The Native American Veteran Direct Loan program, designed for Native American veterans and their spouses, features no downpayment, no private mortgage insurance and low closing costs. A USDA (U.S. Department of Agriculture) loan is focused on certain rural areas. The loan is guaranteed by the USDA and there may be no down payment requirement. Income limitations apply. VA loans issued by the U.S. Department of Veterans Affairs assist members of the military, veterans and surviving spouses. VA loans offer a competitive interest rate and do not require a downpayment. Many cities and states also offer assistance for first-time homebuyers. For more information on home buying programs, please contact The Olear Team today! Is it time? Are you ready to purchase a home? 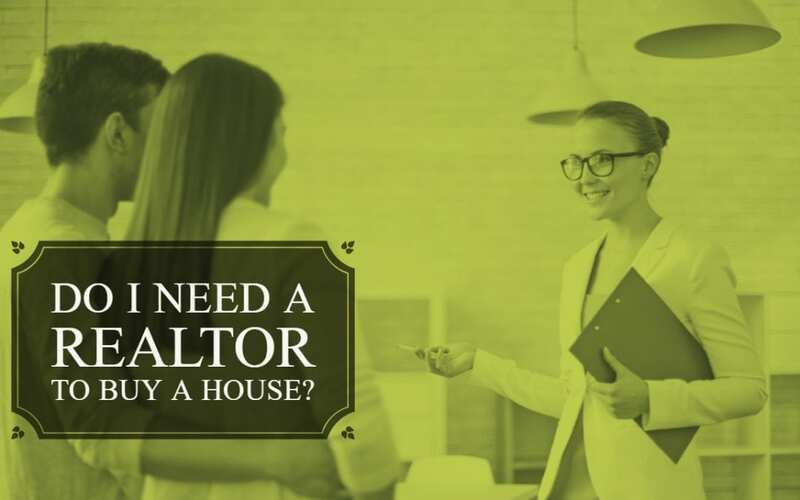 If so, the home buying process can, admittedly, be a little difficult to navigate at times, but with the right Realtor at your side, it can actually be a fun and exciting adventure! First, ask yourself a question: Is buying right for you, or would you be better off renting a home or apartment first? Each situation has its own set of pros and cons, so be sure to give it some time and thought before jumping in feet first. Once you’ve made the decision to tackle the home buying process, don’t go it alone! Find a Realtor that you are comfortable working with who will continually look out for your best interests. Feel free to interview multiple real estate agents until you find the right match. You’re going to be spending a lot of time together — from completing mounds of paperwork to visiting open houses — so you want someone who is both friendly and experienced. Ask friends and family for recommendations. Are your finances in order? Have you been saving money for a down payment? You’ll also want to get pre-approved for a mortgage so you’ll be considered a serious contender when making an offer on a home. Select the style of home that best suits your personal taste, and then think about the neighborhood or neighborhoods you would like to target when house hunting. Do you need to be close to work, schools, entertainment, restaurants, medical facilities, family? Next, select a lender after comparing mortgage rates and associated costs and fees. Your Realtor will likely be ready to offer recommendations. And now, the fun begins! Go house shopping, both online and in-person. Most realty websites will offer multiple photos of the interior and exterior of homes currently for sale, and some might also feature a virtual tour of your dream home. 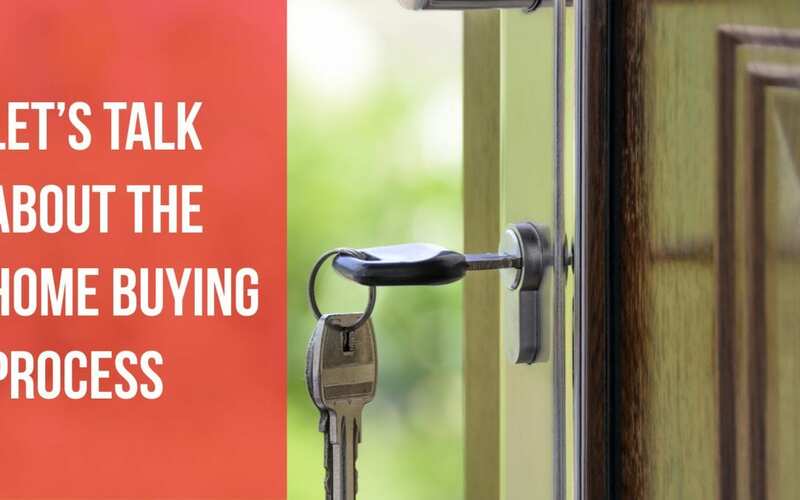 Once you’ve found something you really like and have had a chance to visit, it’s time to make an offer … and be prepared for the seller to come back with a counter-offer. Once your offer is officially accepted, you’ll have to think about things like a home inspection and scheduling your closing date, but those are topics for a different day! In the meantime, if you have any questions about the home buying process, please contact the professionals at The Olear Team today! 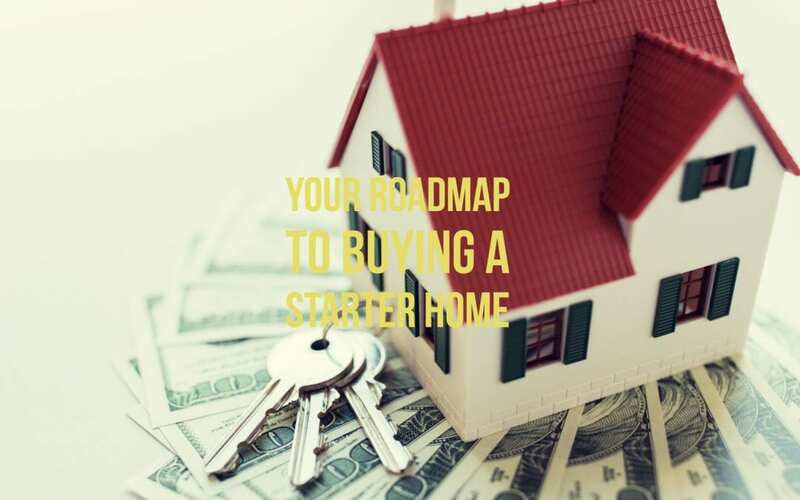 Sooner or later, we all reach that point in time when we’re ready to take that big step known as homeownership, and that likely means buying a starter home. But what is your ideal starter home? Is it, perhaps, a condo or a townhouse? Or is it a smaller home that’s the perfect size for a small family, or maybe one that needs a little work but carries an affordable price tag? Whatever your situation, a starter house might be a wise move until you can afford the house of your dreams. In general, the average stay in a starter home is approximately five years, give or take. Your starter home might be located in the suburbs, while your future “forever” home is closer to the action of a big city. Are you ready for the longer commute while you save for your future? Be honest about how much house you can currently afford. If you’re looking at the numbers and they just don’t add up, a starter home is probably the better option until you can improve your financial situation. Make a commitment to saving for that “forever” home. If you ultimately make the decision to go with a starter home, be sure to get a good home inspection, and then accompany your home inspector during the walk-through and take thorough notes. If something is amiss with the house, the home inspector can bring it to your attention before you sign on the dotted line. Your Realtor can ask for the repair to be made by the current homeowner prior to the sale taking place. Renovations and repairs come with any home, so get to know the difference between routine and expensive maintenance and makeovers. Your home inspector or Realtor should be able to answer any questions that you have. Buying a starter home, or a “forever” home, is a major step in one’s life. Therefore, surround yourself with knowledgeable people who can make your transition to homeowner as seamless as possible. For more information, please contact The Olear Team today!